Following our improvement philosophy, Menage Confort has started the staff training for the Lean Management system. Its implementation will contribute to a better and more efficient customer attention. 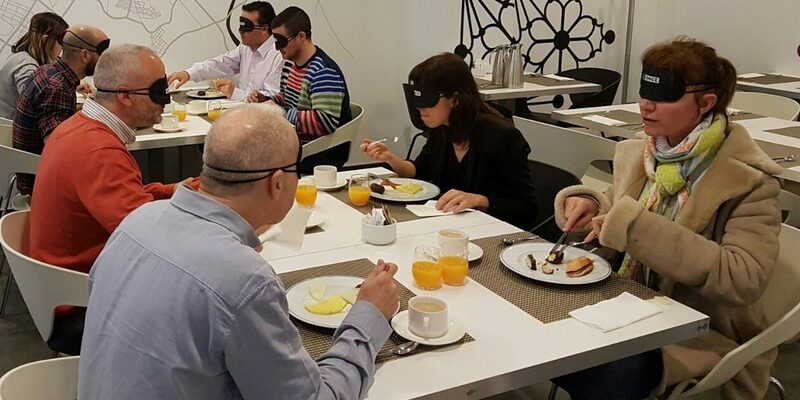 All the participants had the chance to take part in a “blind brunch”, organised by the Ilunion Romareda Hotel, which cooperates closely with the National Organisation for the Spanish Blind people (ONCE). The good environment was present in this rewarding event, addressed to raise social awarenes for the difficulties that blind people find on their everyday life. We have been able to feel these difficulties by ourselves. We would like to express our deepest gratitude for giving us the chance to participate in this experience and be able to show our solidarity with this social event.